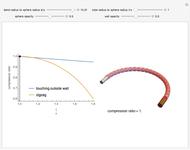 This Demonstration determines the optimal packing for spheres in a curved tube. Spheres of radius are packed in a tube of radius , where , with a bend of radius . We seek the minimum value of the compression ratio. For small ratios , the spheres are in contact with the outside wall. 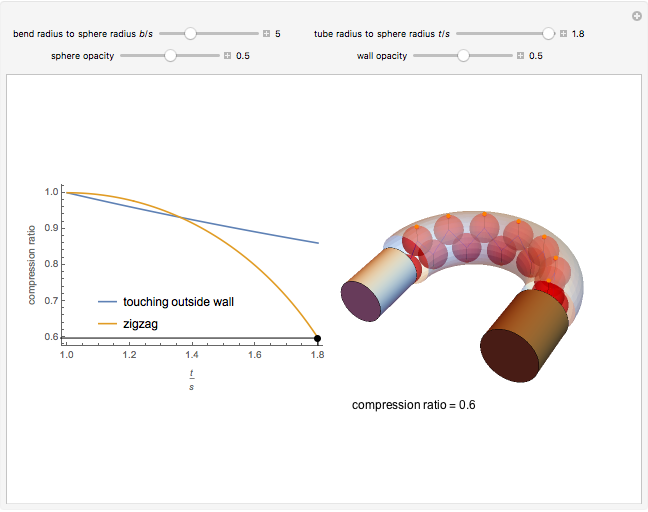 For larger , optimal compression is attained by arranging the spheres in a zigzag pattern parallel to the axis of curvature along the tube centerline. Inside a bend, the spheres arrange themselves so as to minimize the compression ratio; they are all either in contact with the outer wall of the tube or in a zigzag pattern parallel to the axis of curvature along the tube centerline. 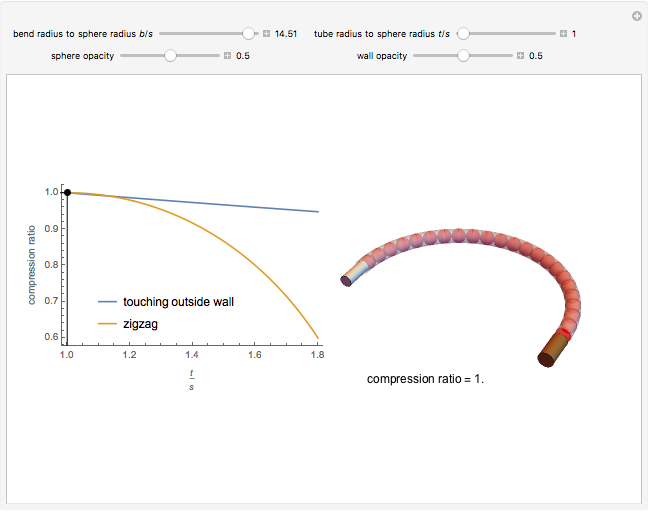 Aaron T. Becker, Haoran Zhao and Li Huang "Compression Ratio of Spheres in a Curved Tube"